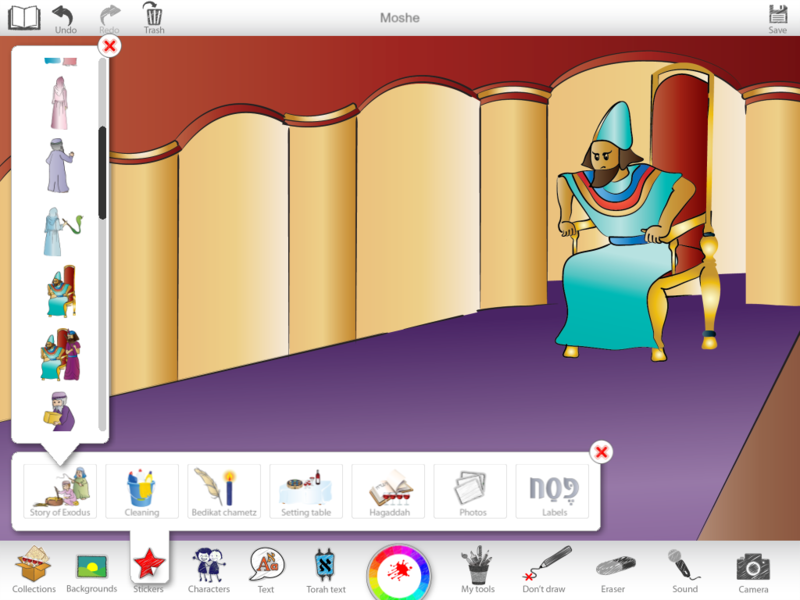 The story of Moshe / Moses is associated with Pesach/ Passover. 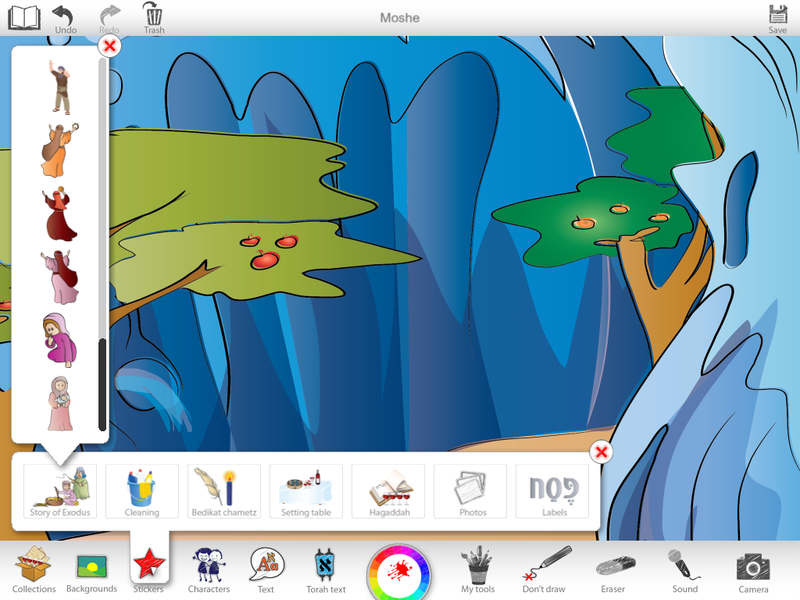 You can find all the backgrounds, stickers and songs for a young Moshe in the Pesach Collection. 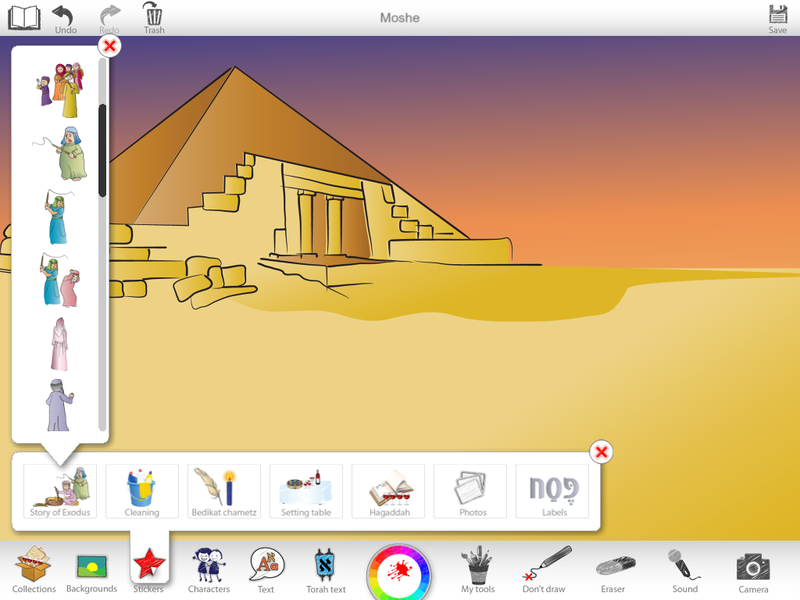 Make a book on the childhood of Moshe / Moses. 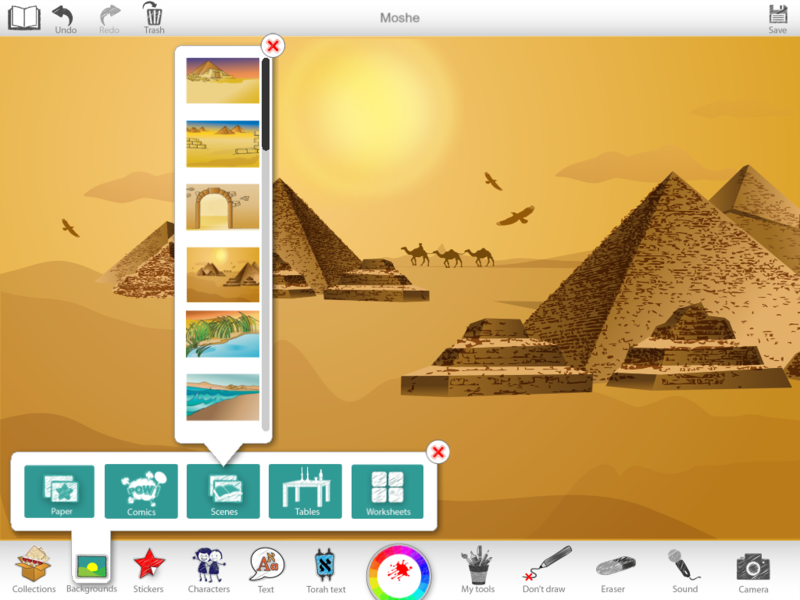 Choose scenes of Egypt from Backgrounds > Scenes. Select the characters of Moshe, Pharoah’s daughter, etc. from Stickers > Story of Exodus. Insert texts from Torah Text > Torah > Shemot. The story of slavery in Egypt is associated with Pesach/ Passover. 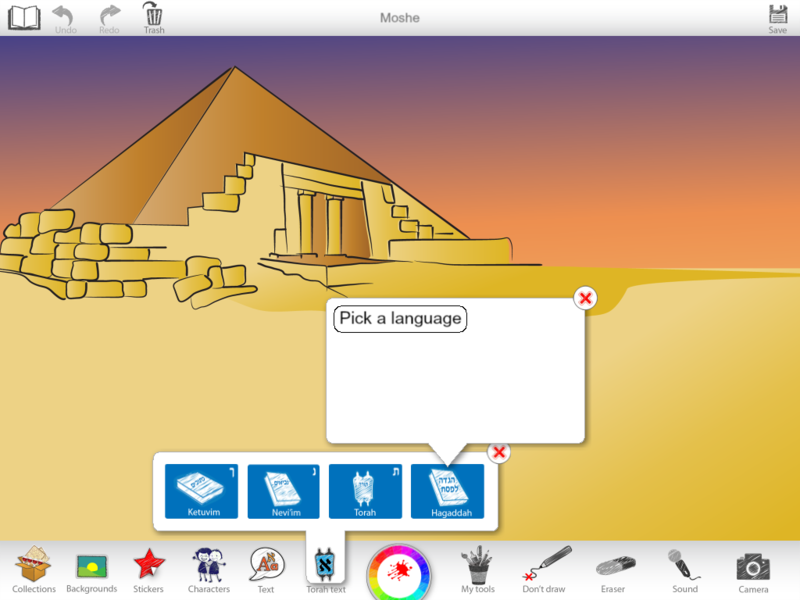 You can find all the backgrounds, stickers and songs for this topic in the Pesach Collection. 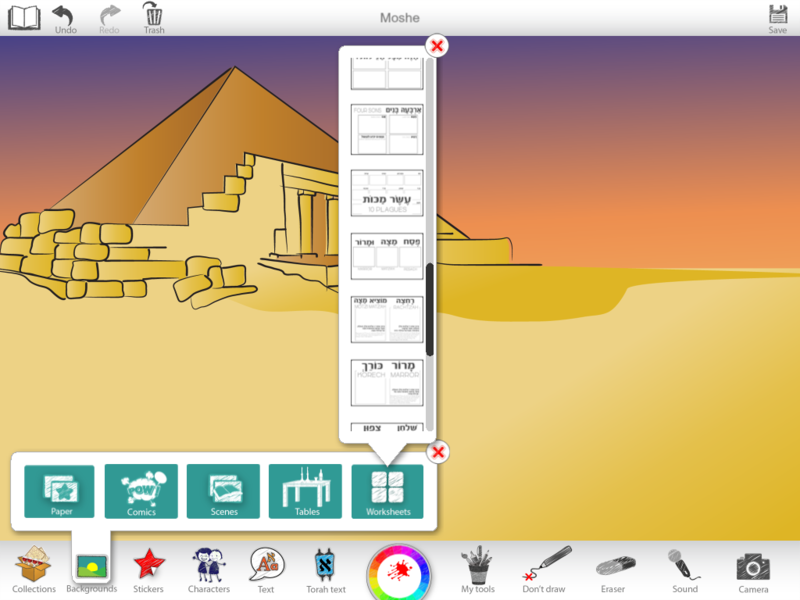 Make a book on the slavery Bnei Yisrael experienced in Egypt. 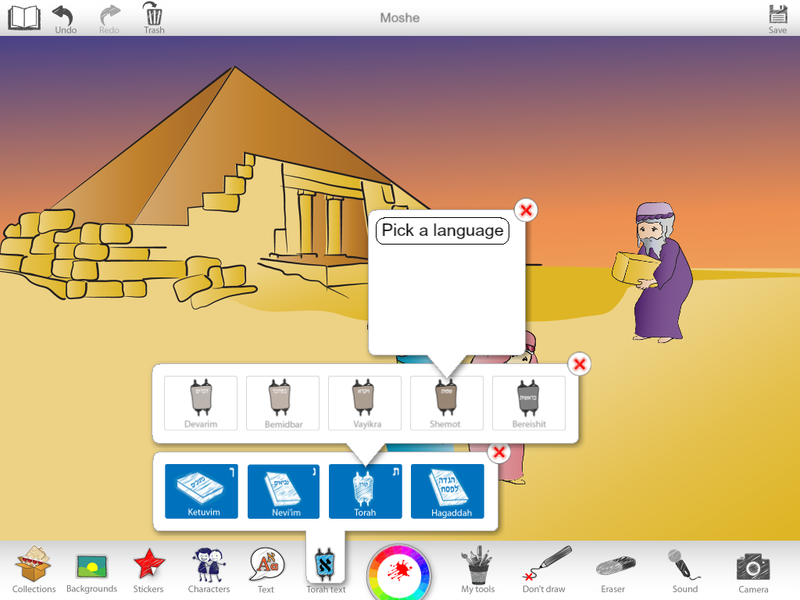 Select the characters of Moshe, Pharoah, slaves, etc. from Stickers > Story of Exodus. The story of the Ten Plagues in Egypt is associated with Pesach/ Passover. 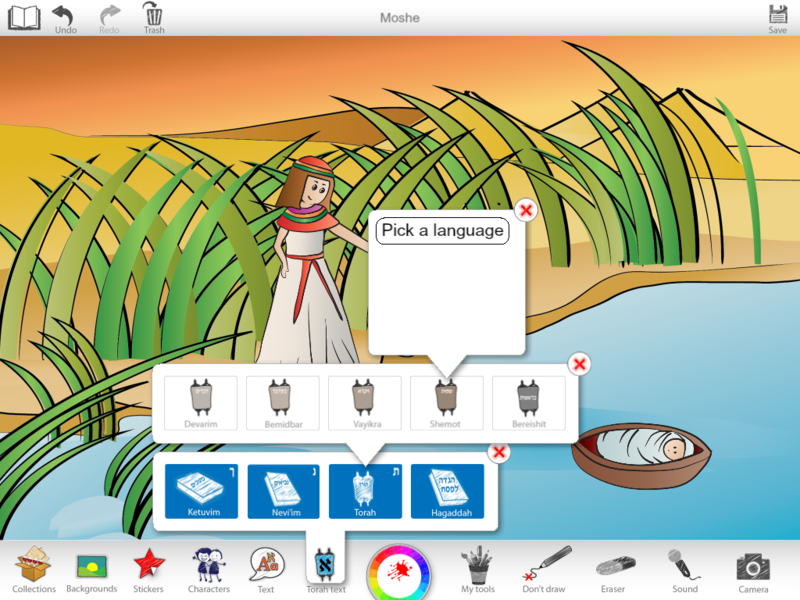 You can find all the backgrounds, stickers and songs for this topic in the Pesach Collection. Make a book on the Ten Plagues, one page per plague. Select the characters of Moshe, Aharon, Pharoah, etc. 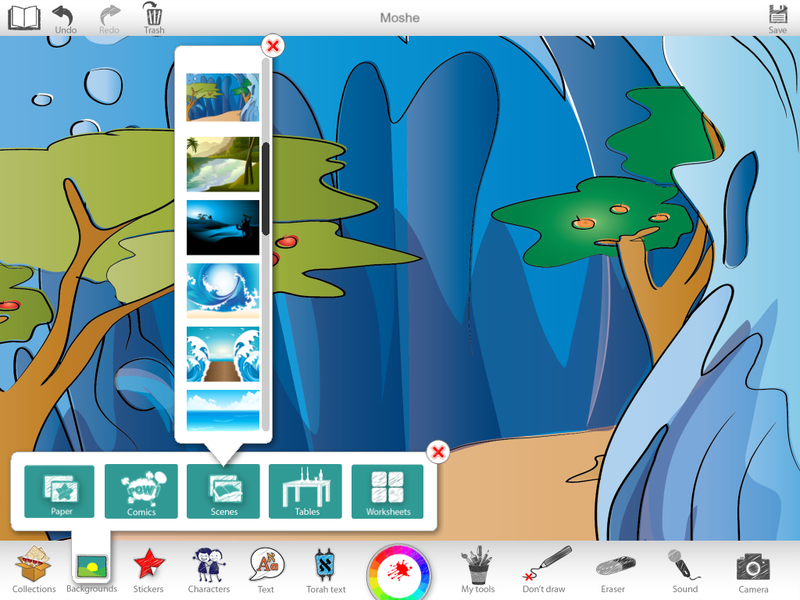 from Stickers > Story of Exodus. Select the plagues from Stickers > Hagaddah. 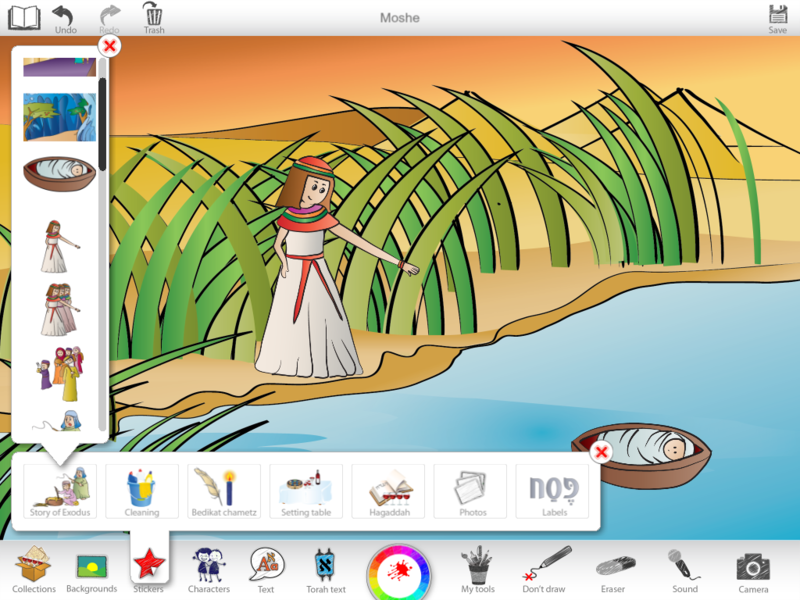 You may also insert parts of the Hagaddah, whose entire text is available in English and Hebrew within the Pesach Collection. Find it in Torah Text > Hagaddah. You may also want to use the 10 Plagues worksheet that you can use as a background. 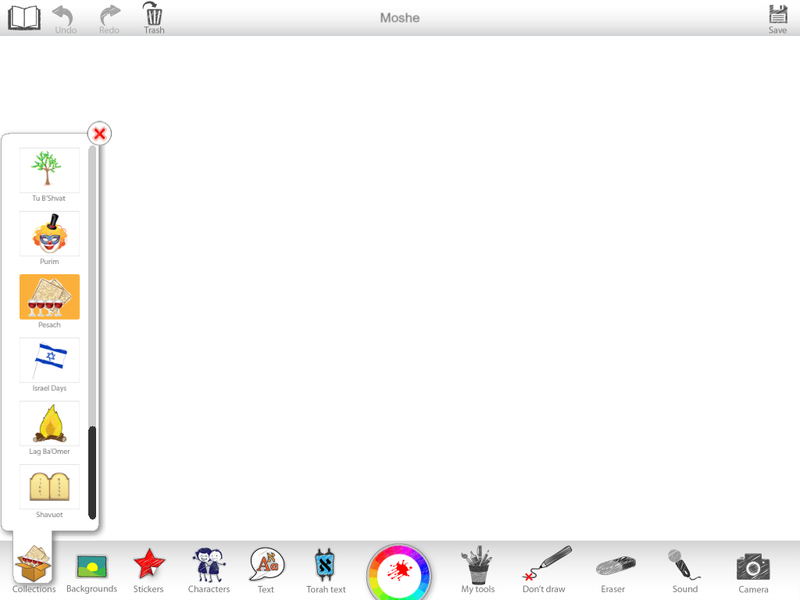 Choose Backgrounds > Worksheets and use the Stickers > Hagaddah to fill it in. The story of Bnei Yisrael leaving Egypt and crossing the Red Sea is associated with Pesach/ Passover. 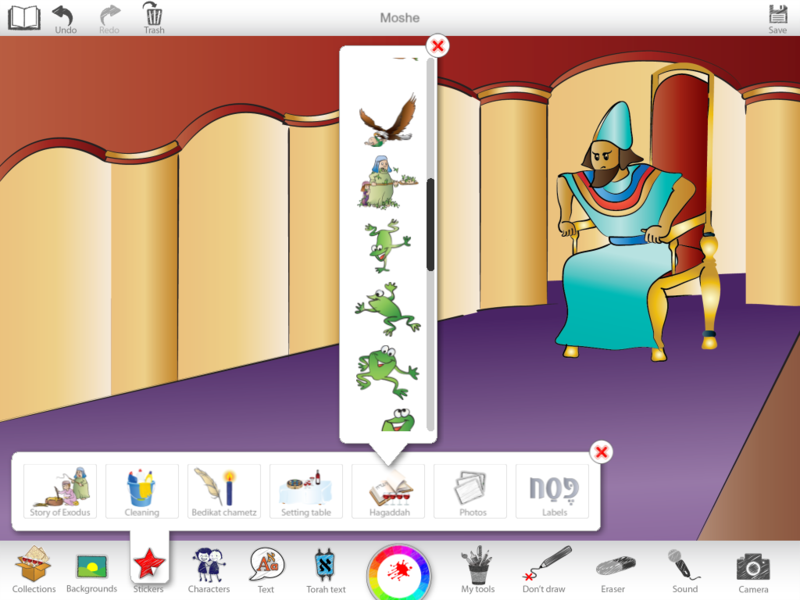 You can find all the backgrounds, stickers and songs for this topic in the Pesach Collection. Make a book on the splitting of the Red Sea. Choose scenes of the split sea from Backgrounds > Scenes. 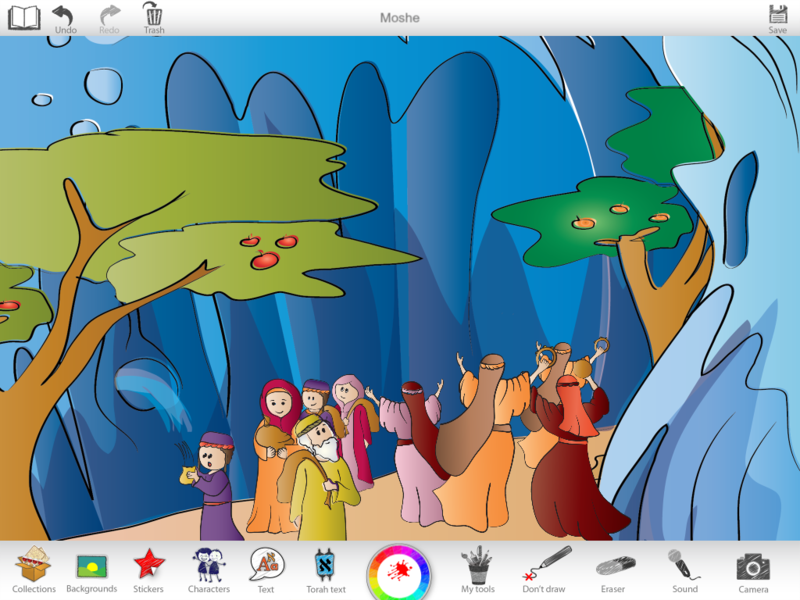 Select the characters of Moshe, Bnei Yisrael, etc. from Stickers > Story of Exodus.